Do you love the seasons as much as I do? Then why not stitch your way through summer, autumn, winter and spring with me? 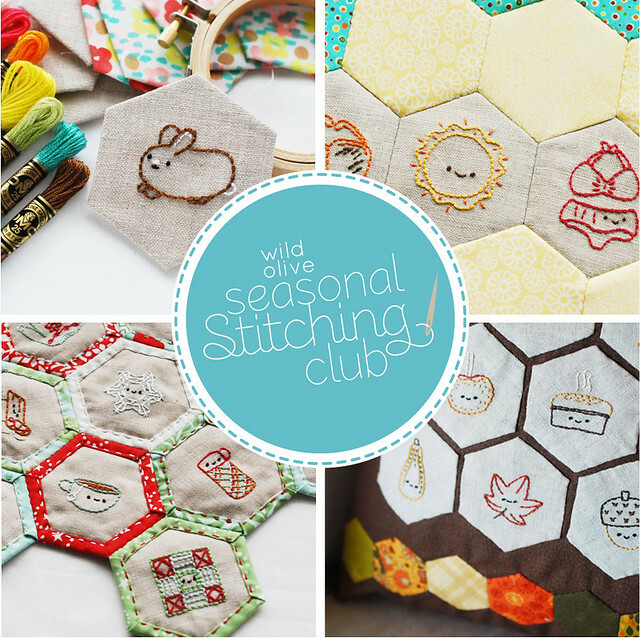 In June 2013 I started the Seasonal Stitching Club, sending patterns to club members each week. Now you can purchase each club and receive all of the patterns at once. There are no holidays here...only seasons of cuteness! When you purchase each club, you'll have immediate access to the downloadable PDFs. 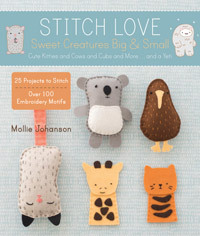 Spring stitching is about flowers and baby animals and even some drippy droppy rain. It makes me happy and hopeful just talking about it! With this club, you'll be making English paper pieced hexagons, joining them into flowers (with embroidery in the centers! ), then putting them together to make a lightweight lap quilt. If this is your first time making hexagons like this, you'll be able to jump in with ease. They're fast and fun and you'll soon be hooked! Full instructions for making the hexagons and the quilt project are included, but I do recommend that you have some embroidery and sewing experience. You will receive a 31-page PDF with 13 tiny patterns, templates, and full project instructions (and lots of step-by-step photos). 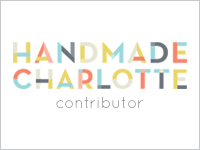 Grab your fabric, floss, needle and thread, and let's start stitching! 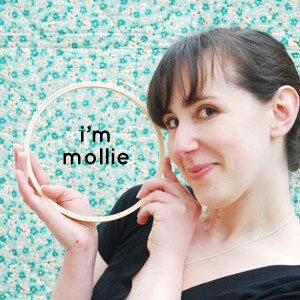 Summer stitching is about sunny, picnic on the beach, kicking back poolside sorts of things. Summer and stitching should be relaxed, and hopefully that's what this club will be for you! 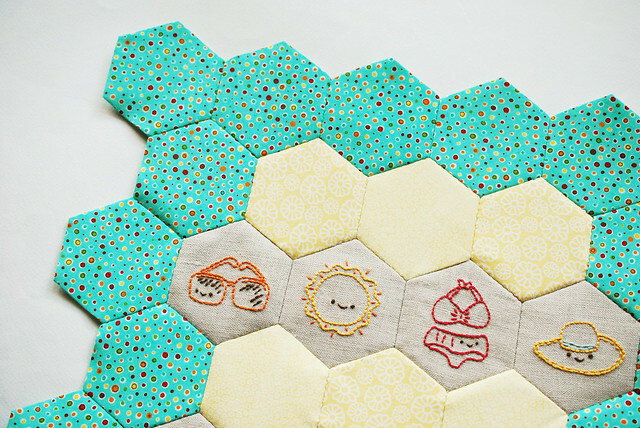 With this pack you'll be embroidering super cute summer motifs and making a mini-quilt out of hexagons. The hexagons are easy to make and go together quickly. Full step-by-step instructions are included, but it will help if you already have some basic embroidery and sewing experience. You will receive a 30-page PDF with 13 tiny patterns, templates, and full project instructions (and lots of step-by-step photos). Pour yourself some iced tea and let the stitching begin! Autumn stitching is about yummy fall foods (a Wild Olive staple! ), pumpkin farm finds, and a harvest of good things. It's my favorite season, and this set has my favorite things that signal the start of autumn. 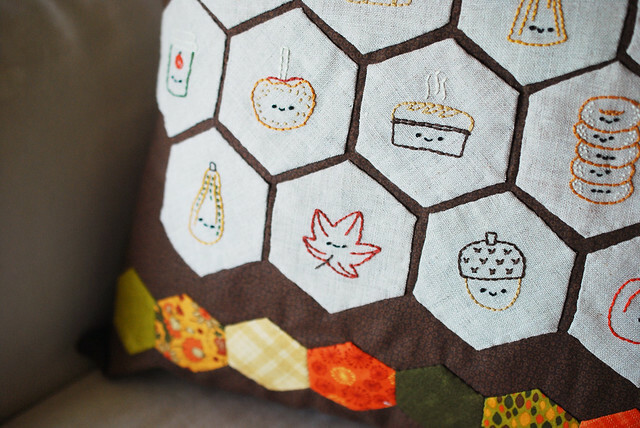 The embroidery patterns become English paper-pieced hexagons, which, together with non-embroidered hexies, will be appliqued onto a pillow/cushion cover. If you've never tried this technique before, you'll find it to be easy, portable, and highly addictive! You will receive a 27-page PDF with 12 tiny patterns, templates, and full project instructions (and lots of step-by-step photos). 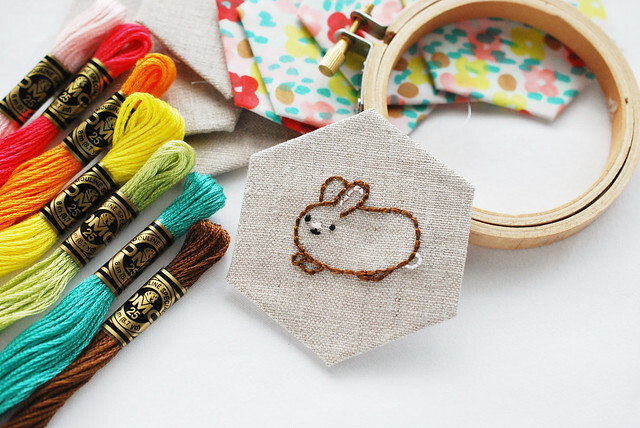 While you're waiting for that pumpkin pie to come out of the oven, why not work in a bit of stitching? Winter stitching is about snowy things, items to keep you warm, and even a few friends that you might spot in the snow! Snuggling by the fire with some embroidery and hot tea in hand is pretty much my idea of a perfect winter, and with this club, that's what you can do! 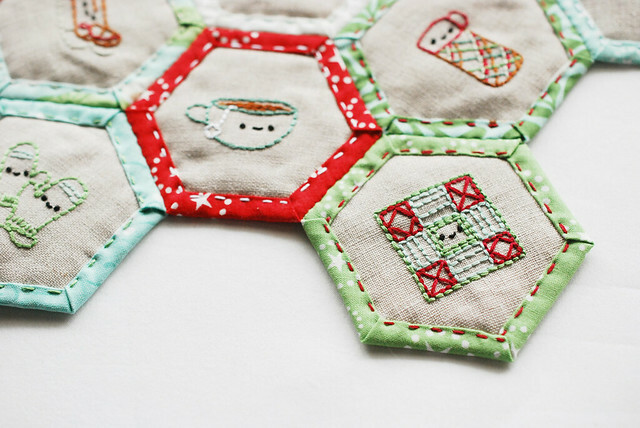 And in the process, you can make a table mat filled with wintery stitching. 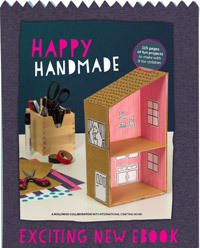 You will receive a 23-page PDF with 13 tiny patterns, templates, and full project instructions (and lots of step-by-step photos). 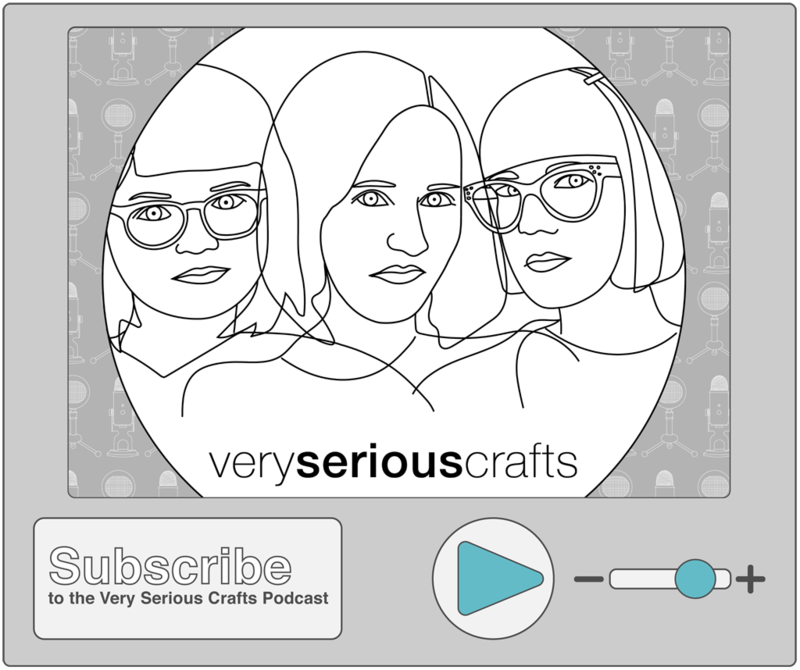 Start the tea water, put on your extra warm socks, and let's get stitching! I am a bit of a newbie on making hexagons but ok with simple embroidery, so I am looking forward to sewing from the winter set. Just purchased the "Spring" set. If all goes well, in the Spring I'll purchase the "Summer" set. What is the flowered fabric you used for the Spring set?